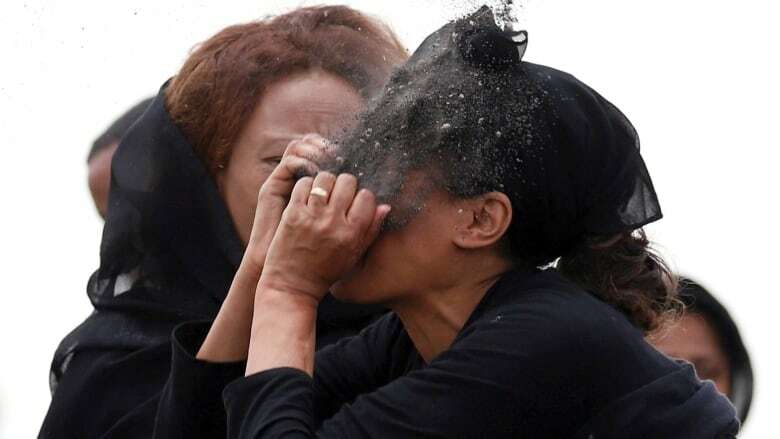 Ethiopian Airlines said on Saturday that DNA testing of the remains of the 157 passengers on board flight 302 may take up to six months, as it offered bereaved families charred earth from the plane crash site to bury. As families wait for the results from the investigation into the cause of the crash, Ethiopian Airlines is planning to hold a service on Sunday in Addis Ababa, at the Kidist Selassie, or Holy Trinity Cathedral, where many of the country's past rulers are buried beneath its pink stone spires. 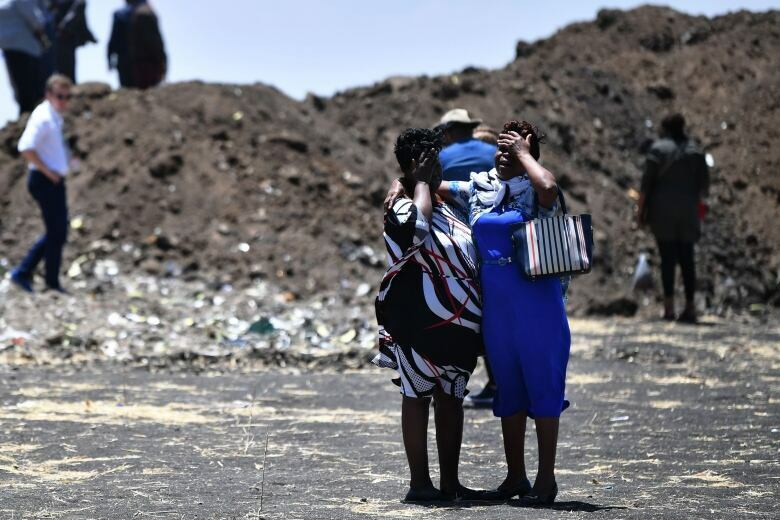 "We were told by the company that we will be given a kilo [of earth] each for burial at Selassie Church for a funeral they will organize," said one family member who asked not to be named. "We are Muslims, we didn't care about that [earth]. We did yesterday our prayers at the mosque and that is all for us." 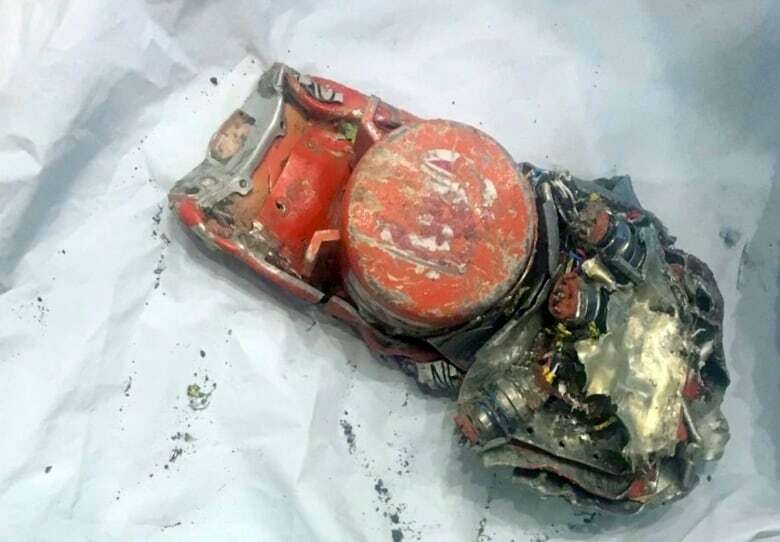 France's air accident investigation agency, BEA, said Saturday it had resumed work analyzing the black boxes, in co-ordination with teams from Boeing as well as U.S. and EU aviation safety authorities. The French agency said that, in addition to Boeing, teams were also attending from the U.S. National Transportation Safety Board, Federal Aviation Administration and the European Union Aviation Safety Agency. Investigators have begun studying the cockpit voice recorder, and downloading the data was expected to take four to five hours. The BEA also issued a photo showing the cockpit voice recorder dented but intact. The plane model is relatively new — only 371 were flying — but another nearly 5,000 are on order, meaning the financial implications are huge.